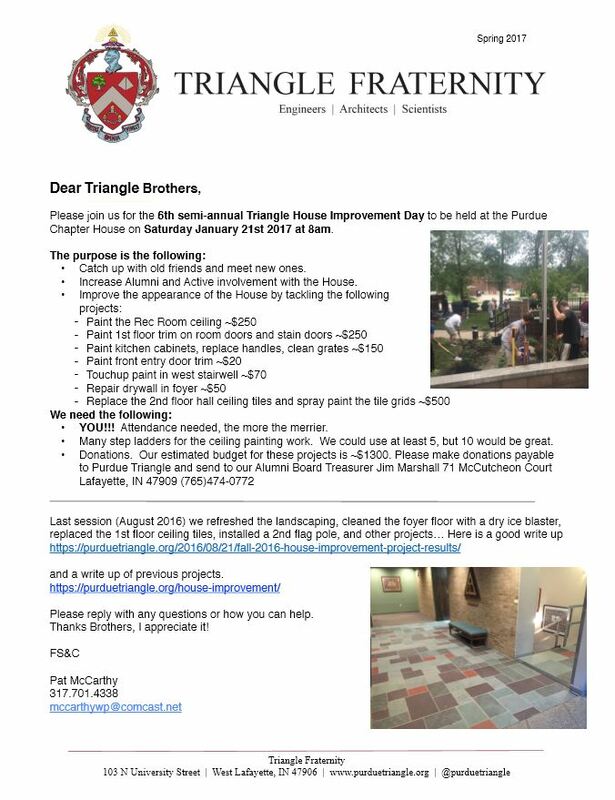 The sixth annual House Improvement Day is scheduled for January 21st, starting at 8AM. This semiannual event not only is a time to improve the house, but also a time to relive old memories, meet old and new friends, and check out the progress that’s been made in the house. As well as many other smaller tasks. All alumni are welcome to come to this event: The actives will be doing all the heavy lifting, so feel free to come even if you’d just like to catch up or check out the house. We hope to see you there!